[email protected] | +44 0203 598 2599 start my quote! Printsome offers a quick, efficient and thorough promotional T-shirt printing service for agencies and in-house teams. On top of our promotional shirts, we're also known for our quick shipping. We work closely with our customers from the start. There's no task too complex for our team. Printsome has worked with brands such as The BBC, Rockstar and PayPal. Thanks to our extensive catalogue and capacity for bulk printing, we can produce customised promotional clothing for almost every occasion. Not to mention that our different shipping options and cutting-edge techniques allow us to meet most deadlines. Whether you're world famous or a brand-new brand, Printsome's got your back. 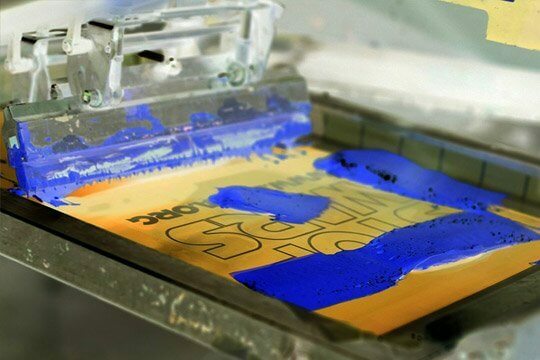 In order to produce large orders of personalised T-shirts in record time, we use screen printing. This is an old printing technique that has evolved and adapted to the times. Our facilities feature some of the most technically-advanced machines around. They work with large screens that can quickly print one garment after the next, creating an efficient supply chain without losing any of the quality. Get in touch and ask your printing expert what is best for your project! Here at Printsome, we strive to offer the best quality even when working at bulk sizes. Our sophisticated printing machines allow us to produce high volumes of garments at record times without sacrificing any of the quality. The bigger the order, then the better the price per unit will be. We work with wholesale brands from both ends of the spectrum. From the most accessible to the high end. Screen printing services are not suitable for runs smaller than 25 units. This technique is quoted based on screens made for each colour and position of print, so the more complex, the more costly it will be in the end. Why should I invest in promotional T-shirts? When you print a T-shirt, you’re producing an advertisement that virtually anyone can wear. It is no wonder that almost every brand has made an official one with their logo on it at some point. These garments outlast any other printed material and can take your message to an audience that you wouldn’t have access to otherwise. T-shirts are also extremely versatile, allowing you to modify them in pretty much any way you can think of. Not to mention that they can be easy and inexpensive to make. Where to Buy Promotional T-shirts in the UK? 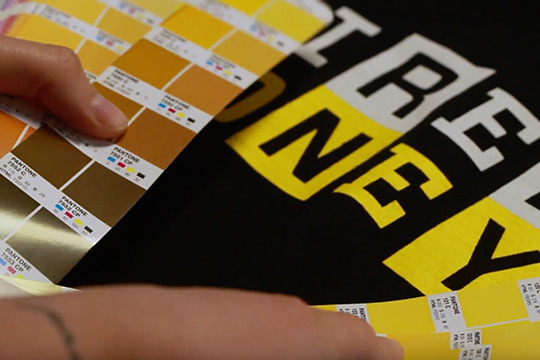 Here at Printsome, we can print a small-scale order for promotional T-shirts, in our London, Tottenham facility and medium to large-scale orders, in our Essex facility. There are benefits and disadvantages to every production size so, in the end, it is the printing expert's job to find the best option that adapts to the client's needs. Our bulk T-shirt printing consult is very simple: Tell us what you need, and we will guide you through the best process that fits your business. Get in touch! What to consider when ordering promotional clothing? Promotional garments are not something that shouldn't be taken lightly as an order of such a size, can make or break a business. It is very common for savings to quickly transform into major catastrophic costs. This is due to the fact that with promotional branded clothing, one small mistake isn’t affecting only a handful of items, but often tens of thousands. In order to reach the best possible outcome, we advise you to trust those with experience in the industry and offer value instead of a bargain. Our standard turnaround time is 5 to 10 business days, but if that’s not fast enough, in most cases we can provide an express service which ships in 2 to 3 days (sometimes even less depending on your order details). If your stated deadline is within four days, our advice team will be in contact within minutes to discuss and advise you on your specific situation. We work with some of the best courier services in the country. From the moment your package is sent, you'll be able to track it. Promotional clothing, show the best face of your brand to the world! As T-shirt printing agency, at Printsome we know how promotional T-shirts can be a necessary aspect of a marketing campaign. 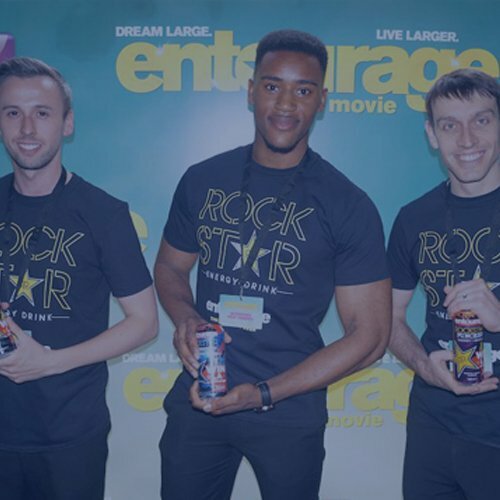 Thanks to us, it has never been easier to order merchandise T-shirts from anywhere in the UK because we were born to help and make the printing process easy! Our mission is to offer the best possible customer service and high quality garments in the industry, trust in our quality assurance for all your needs. Our mission is also to be the fastest delivering your garments with our express T-shirt printing service. On top of that, we aim to help those who are running out of time. Or business model allows us to react quickly, even with looming deadlines. Do you have an idea of what could be the best way to promote your designs or your brand yet? Before you jump on the computer, you should ask yourself, how do you want your promotional clothing to look? We have all kinds of garments to help you with your marketing campaign, but the way you promote them should reflect the style and image of the brand. If you are struggling too much, our team of experts will help you find not only the best garment, but also the best technique to apply in terms of quality and always having in mind your budget, indeed. Contact us! Promotional T-shirts will always be the favourites, but personalised hoodies should be more appreciated, it will all depend on what your goals are with the campaign. On the other hand, promotional clothes are perfect to promote your company logo. The ones that are actually doing it say this is called “low-cost advertising”. Wherever your employees go, your brand or message is spread among lots of people. 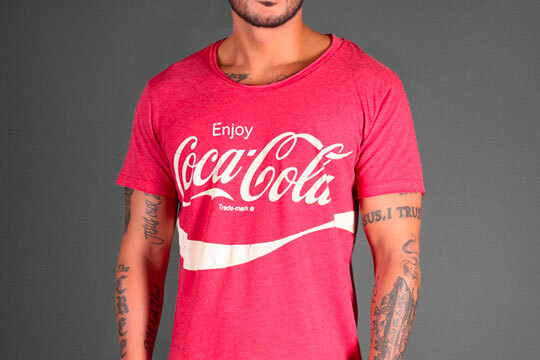 Are printed T-shirts too flashy for the impression you want to give? Then embroidered shirts are the perfect solution! And it will ensure the professionalism of your company. 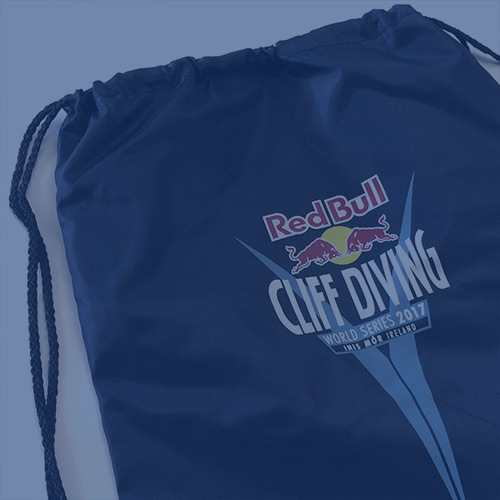 In any case, whether the promotional clothing is used as workwear or to promote an event, your logo or brand will be exposed and remembered by your target for years. We offer a very wide range of garments within our catalogue. You can choose between T-shirts, hoodies, vests tops, sweatshirts, polo shirts, bags and different accessories. Quality merchandise clothing is easy to order online with us. Why? Because we make it as easy as we can for you. At Printsome we have a bag full of T-shirt printing tricks, and an excellent reputation for customer service and advice. Aware of the fact that thoughtful promotional clothing is likely to be worn, in addition, we want to help you with high-quality garments that better fit your budget and needs. As you may already know, bulk T-shirt printing is a way to save money, but we bet you didn’t know it’s also a way to preserve the environment. We use the same resources to deliver one or hundreds. So let's sum it up: Consider who your potential clients are, and what their needs in terms of personalised clothing are, then contact us with this information and we will do the rest for you. Remember that we offer our services all over the UK. Screen printing is popular within events organisers and marketing professionals because it is cost effective when ordering in large quantities. What kind of promotional garments should you order for your event? There are many options. Bulk T-shirt printing and screen printing are a great combination when printing T-shirts for events and marketing campaigns, but it is important to remember that the price of your T-shirts will depend heavily on your design and its complexity. If the image is very complex, for photographs or multiple colours for example, then DTG printing is a better option for you. At Printsome we offer also transfer printing, cad cut vinyl and as said before, embroidery, but for the full range of printing techniques and expert advice, we're the online T-shirt printing agency you're looking for. Whether you are looking for wholesale merchandise clothing printing for your next big marketing push or just some embroidered workwear and printed sweatshirts for the staff at your small business, Printsome can help you. T-shirt printing is becoming easier thanks to our advances in delivering across the UK from London to T-shirt printing Glasgow and Liverpool to Belfast. 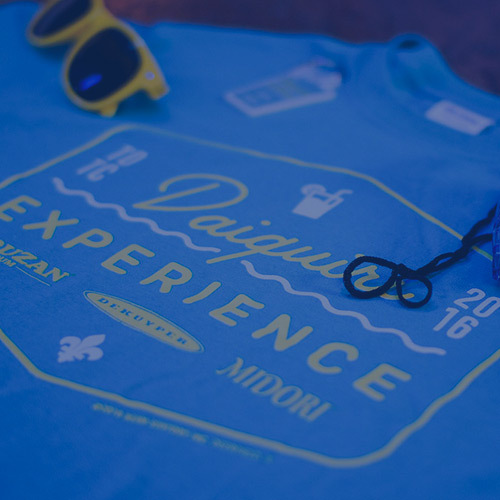 We can help you with any requirements you might need while you are looking for your next event T-shirts! Even if it’s an emergency and you need express T-shirt printing, we are here to help you!